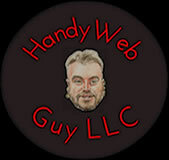 Website Hosting - Handy Web Guy LLC "At Your Service" - Custom Web Platforms Built Just For YOU! Set up email addresses and forwarding. Create subdomains and addon domains.